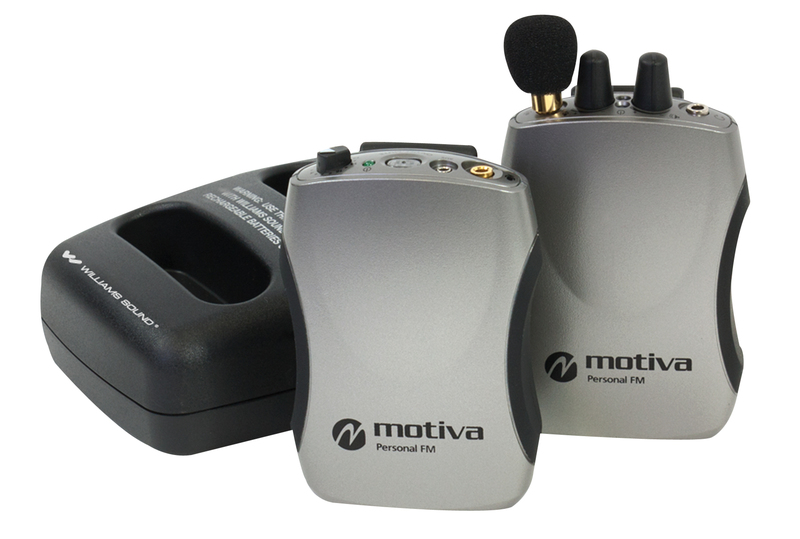 The Motiva Personal Amplification and FM system eliminates background noise and makes voices clearer in a variety of settings. Enjoy wireless, portable sound amplification and an FM system in one convenient unit. The receiver’s built-in microphone amplifies sounds around the listener (e.g., a one-on-one conversation in a classroom) and receives sound from the wireless transmitter, which is worn by the speaker. It’s ideal for situations in which there is a long distance between the speaker and the listener, or when there is a lot of background noise. The system includes a transmitter, receiver, lapel microphone, environmental microphone, mini earphone single bud), soft carrying case and charger.